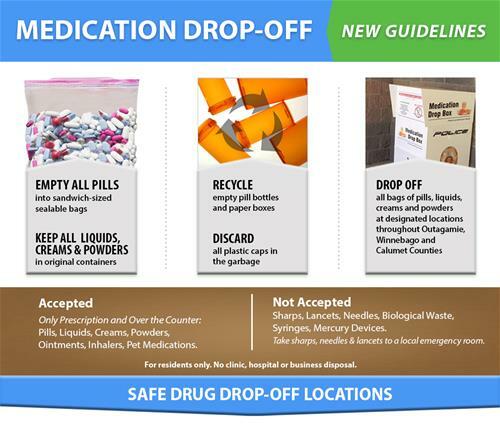 The Calumet County Sheriff’s Office has a free drug drop box for you to dispose of any expired or unwanted prescription or over the counter medications (including pet medications). The box is available 24 hours a day, seven days a week. Participation is anonymous and free. 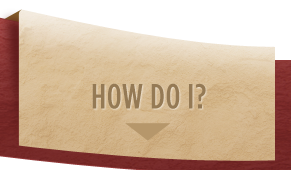 Acceptable items include pills, capsules, ointments, liquids, sprays, drops, creams, inhalers, or vials. Unacceptable items are needles, intravenous solutions, or non-medication waste. Contact Calumet County Public Health at (920) 849-1432 for safe needle disposal.